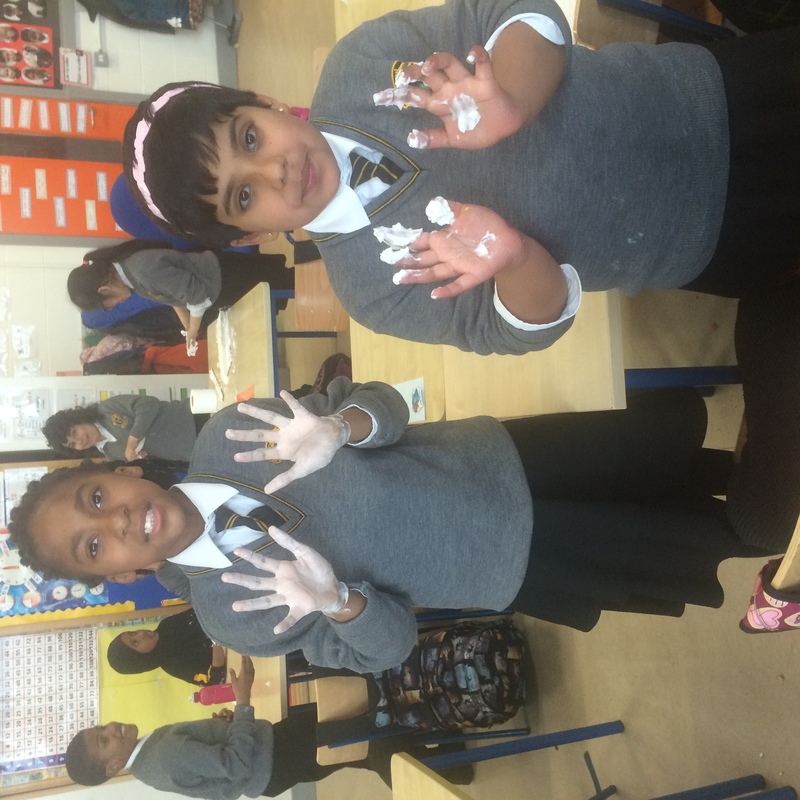 We’ve been really busy since the Easter holidays. 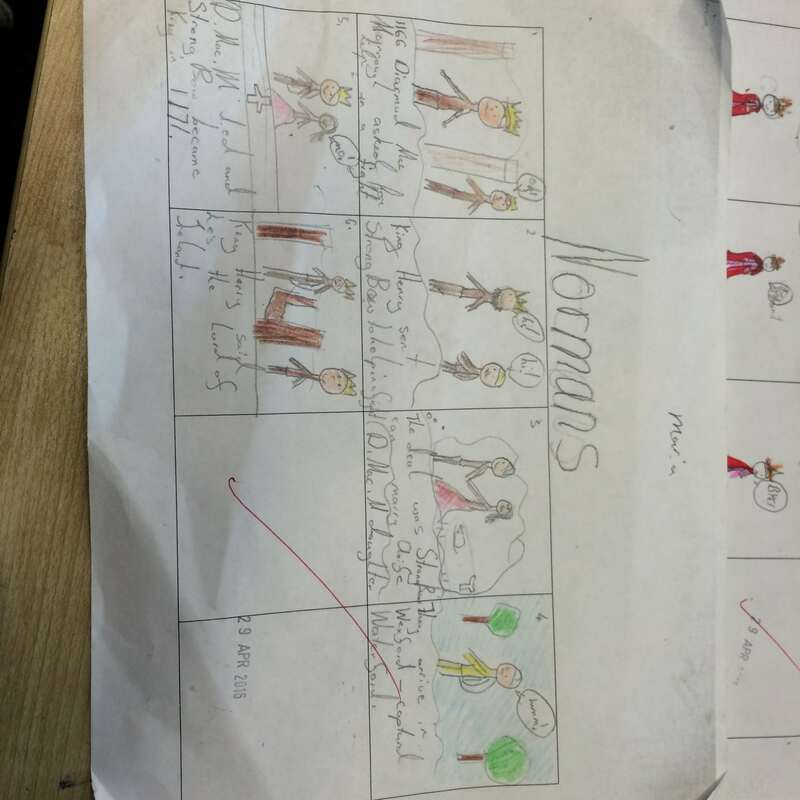 In English we’ve been learning all about report writing. 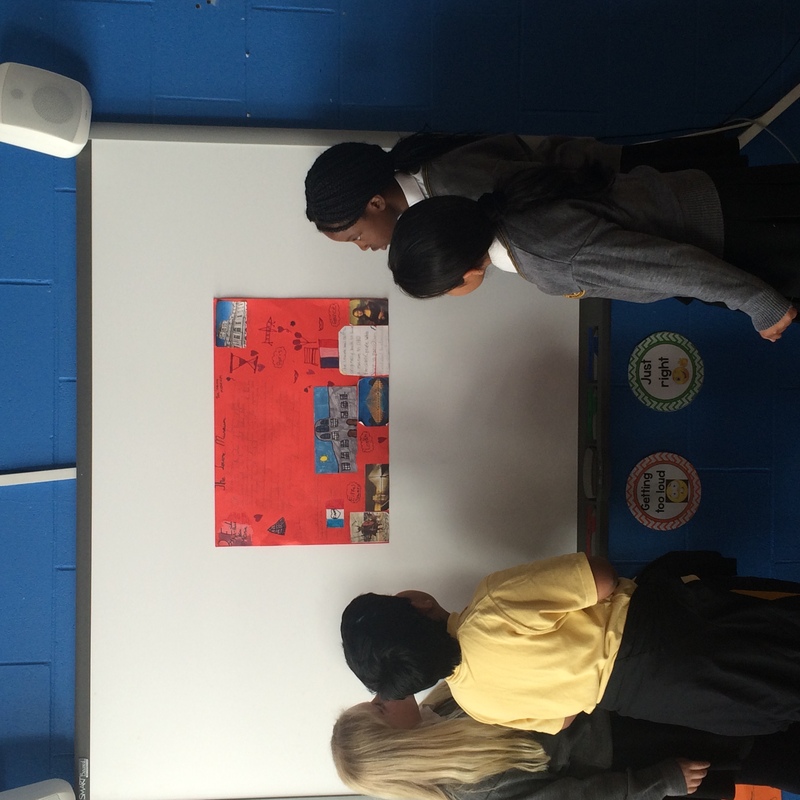 We wrote a report about France and we made a welcome booklet about Scoil Ghrainne too! 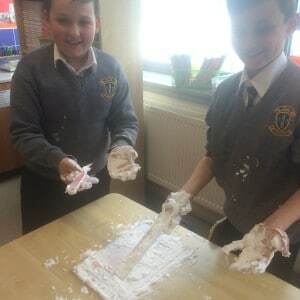 In Maths we were learning about Weight! 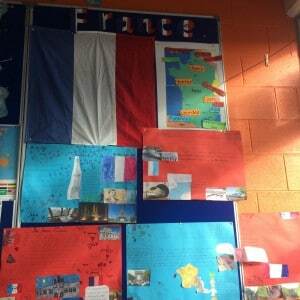 We created brilliant projects about France; each group had a different project and we became teachers and taught the rest of the class about The Tour de France, The Lourve Museum, The Eiffel Tower, Transport in France and Food & Wine vineyards. 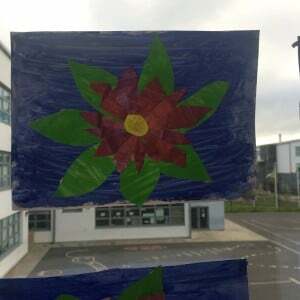 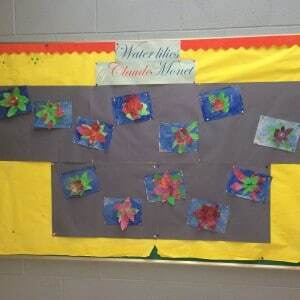 We even created Water-lilies inspired by the French artist Claude Monet. 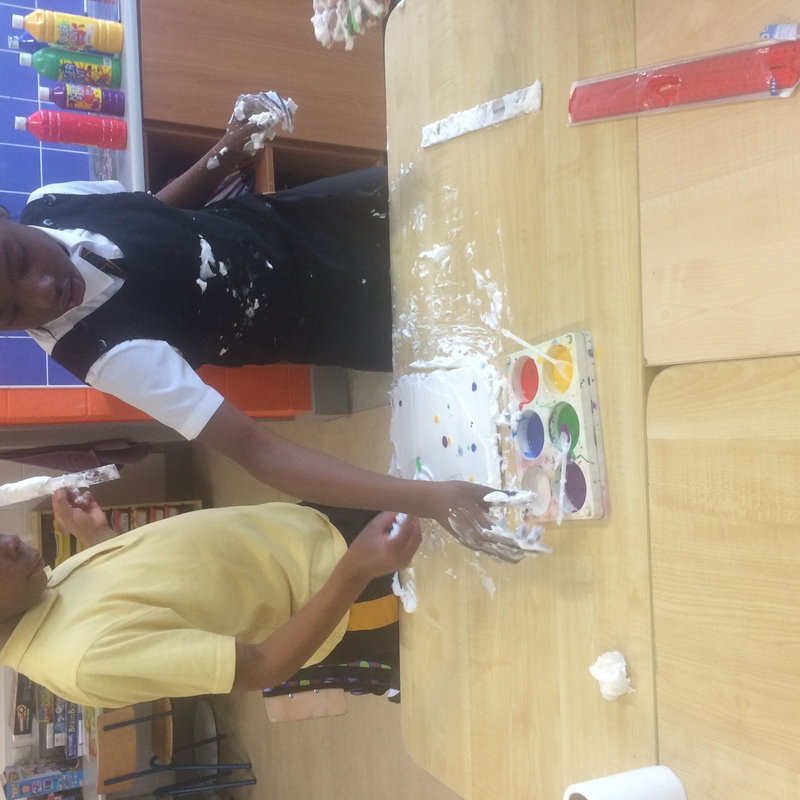 Art this week was very messy! 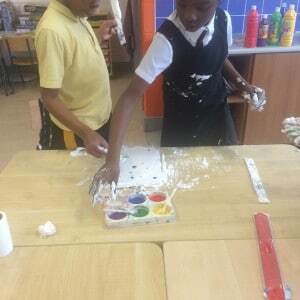 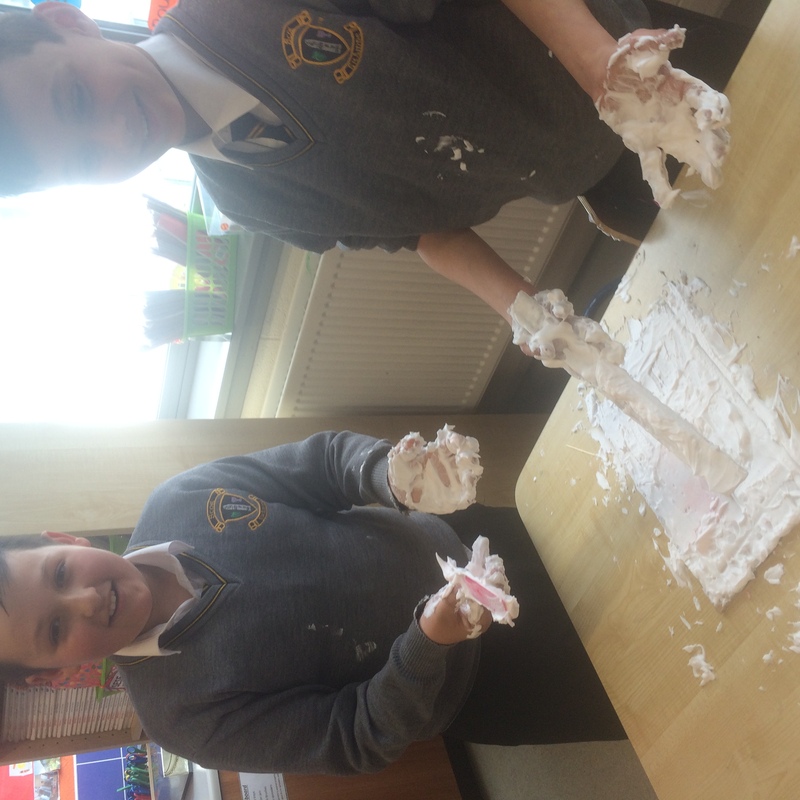 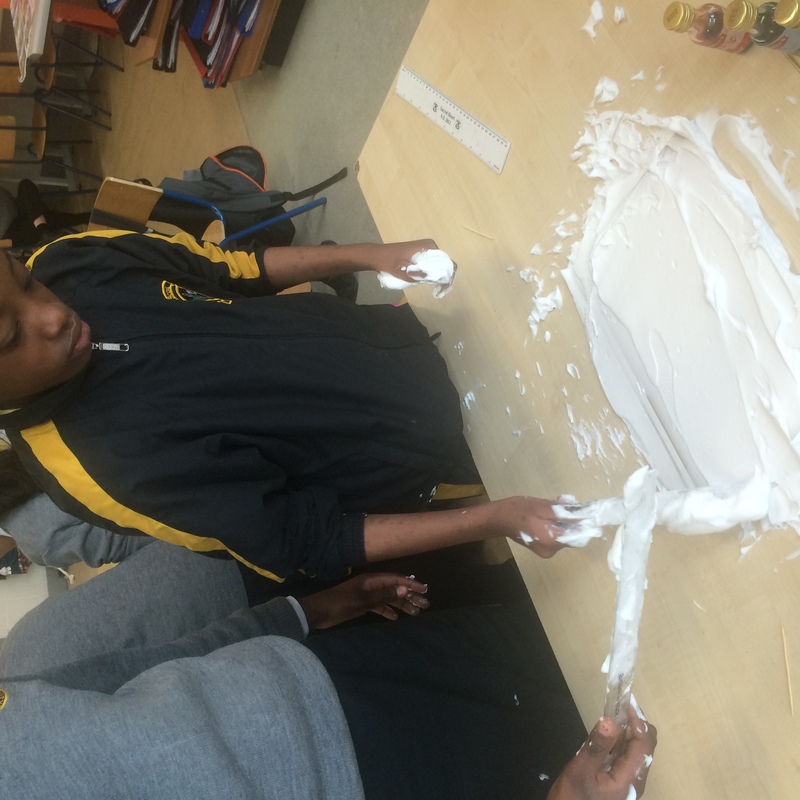 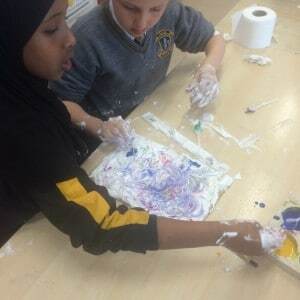 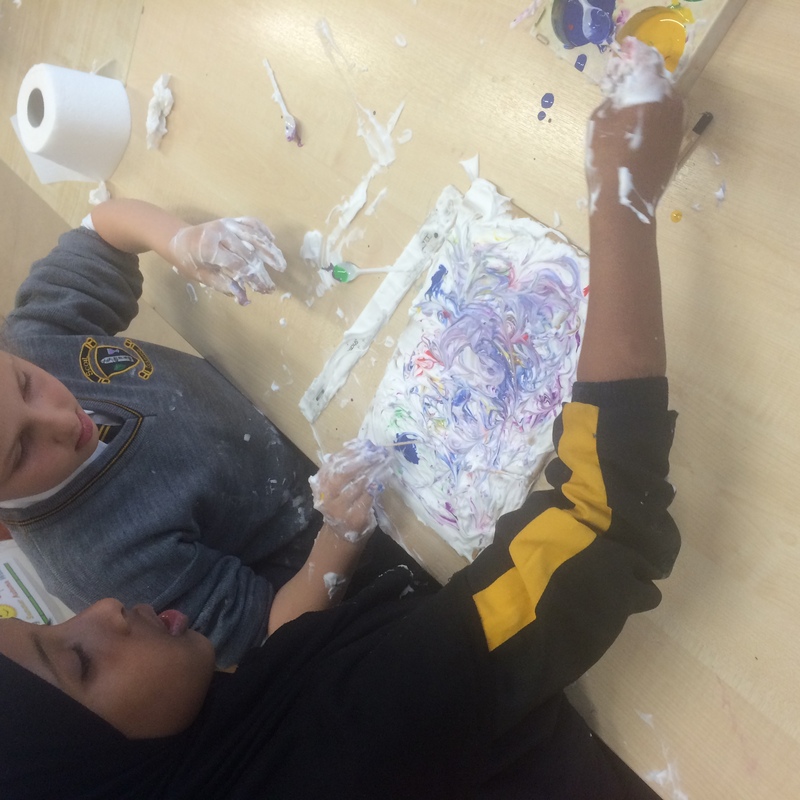 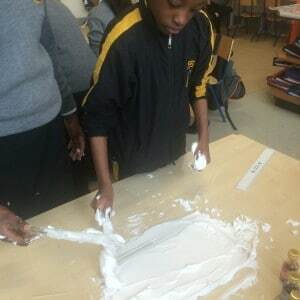 We used shaving foam and paint to create marbled art. 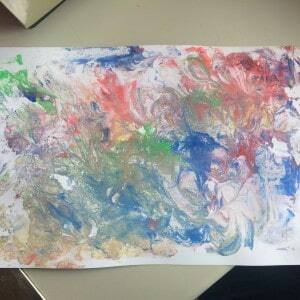 They turned out really cool. 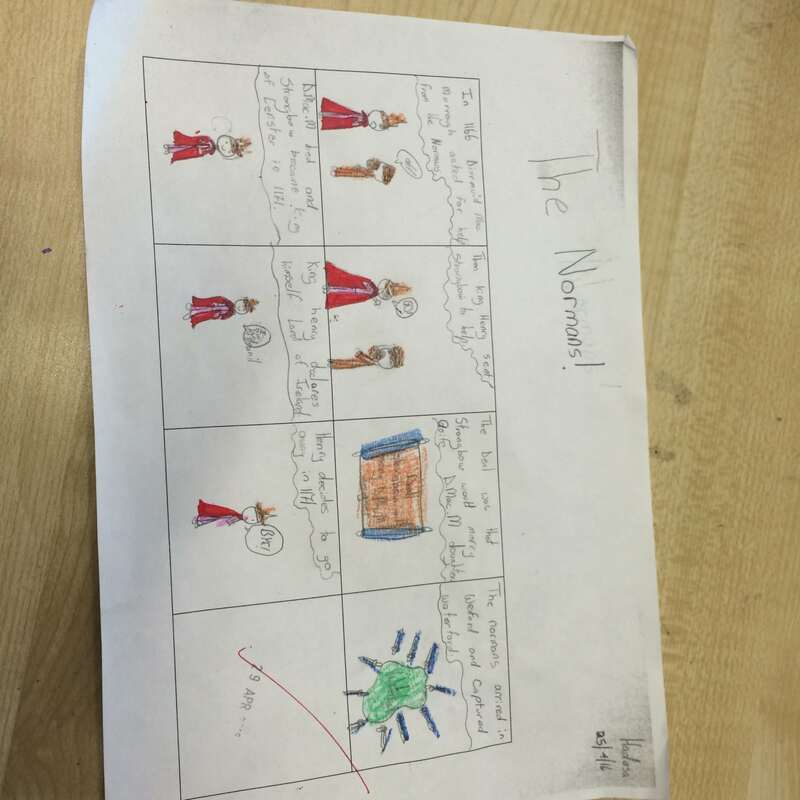 We have also been learning about the Normans. 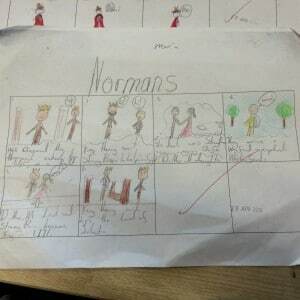 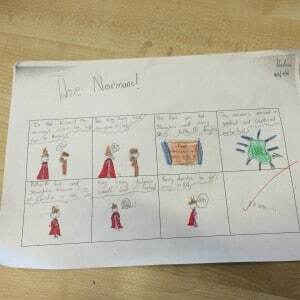 We made comic strips about the Norman invasion of Ireland. 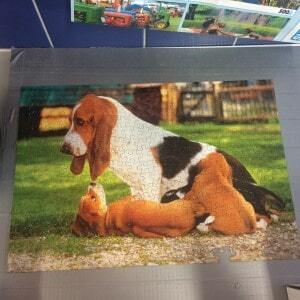 We finished our 300 piece jigsaw, our next challenge is a 500 piece jigsaw!! 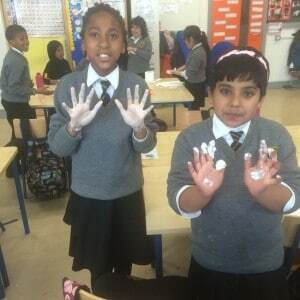 We hope everyone has a lovely Midterm break & comes back well rested for our last term.